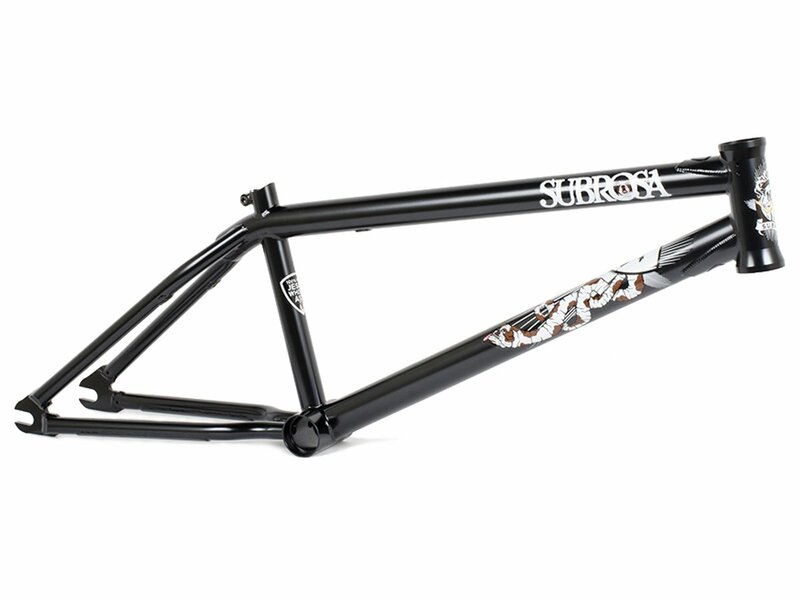 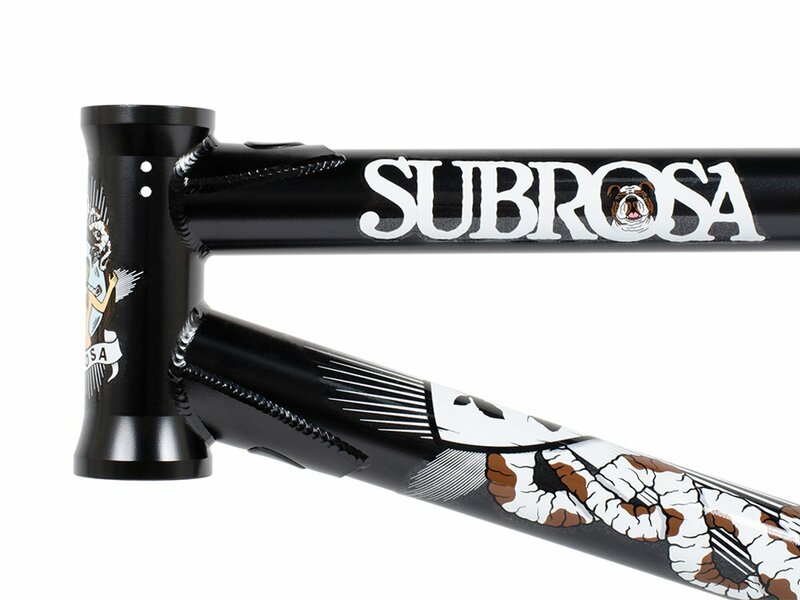 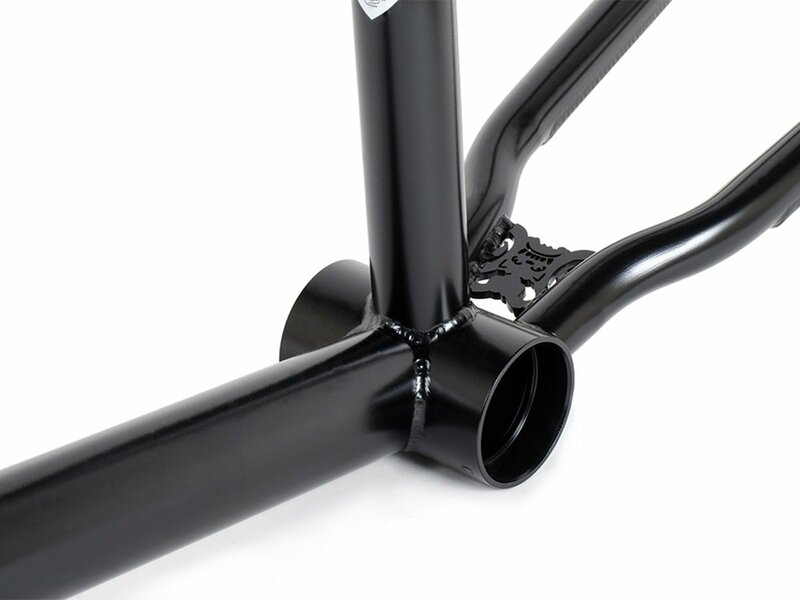 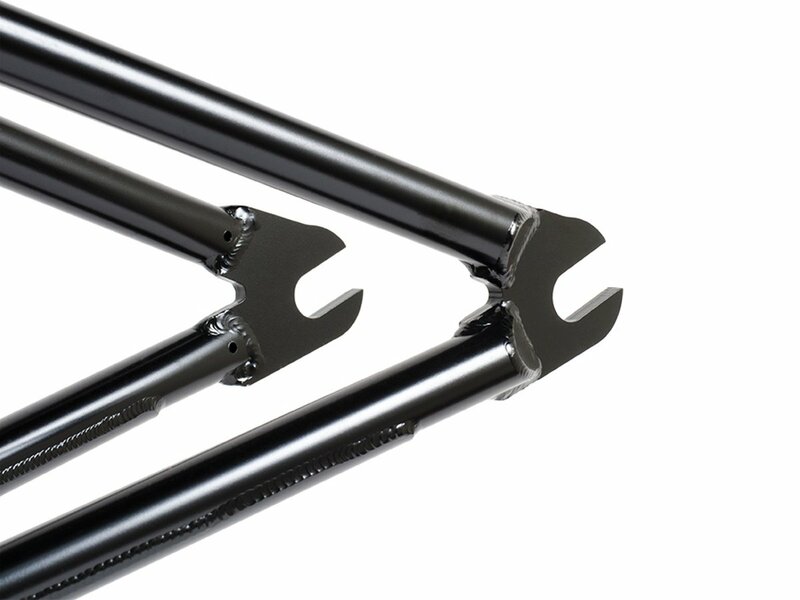 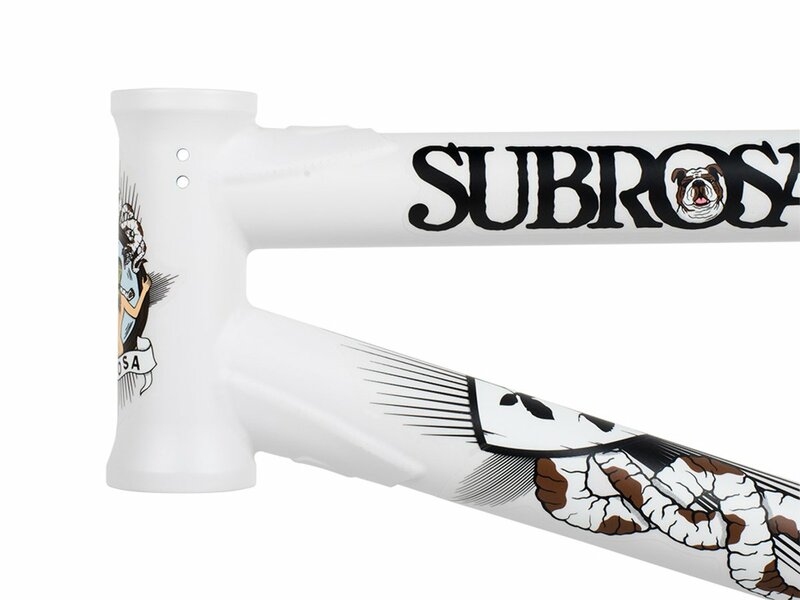 The Subrosa Bikes "Wild Child" BMX Frame is the Signature BMX frame of Trey Jones and was designed and manufactured according to its particularly remarkable style of riding, for Allround Style on the street or in the skate park. 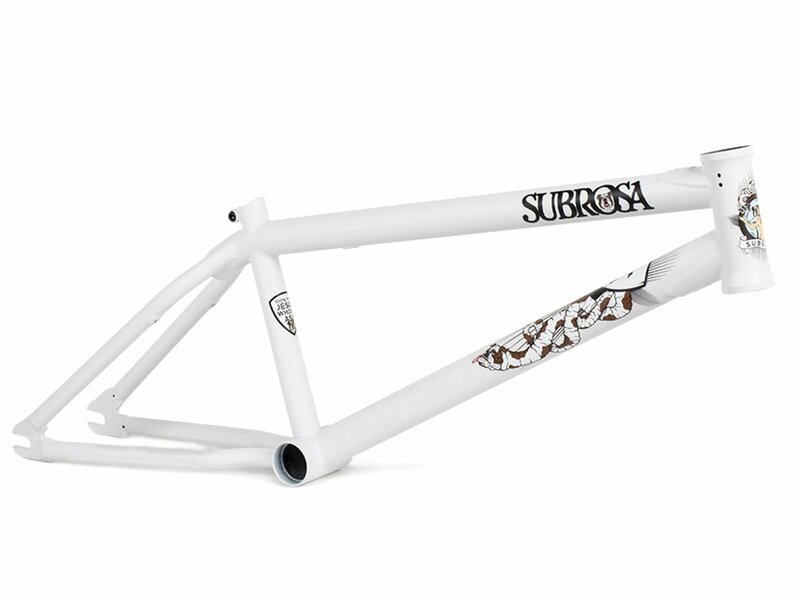 The Subrosa Bikes "Wild Child" BMX Frame is made of 100% 4130 Sanko CrMo, has a 13.35" chainstay and comes with double butted top tube and down tube. 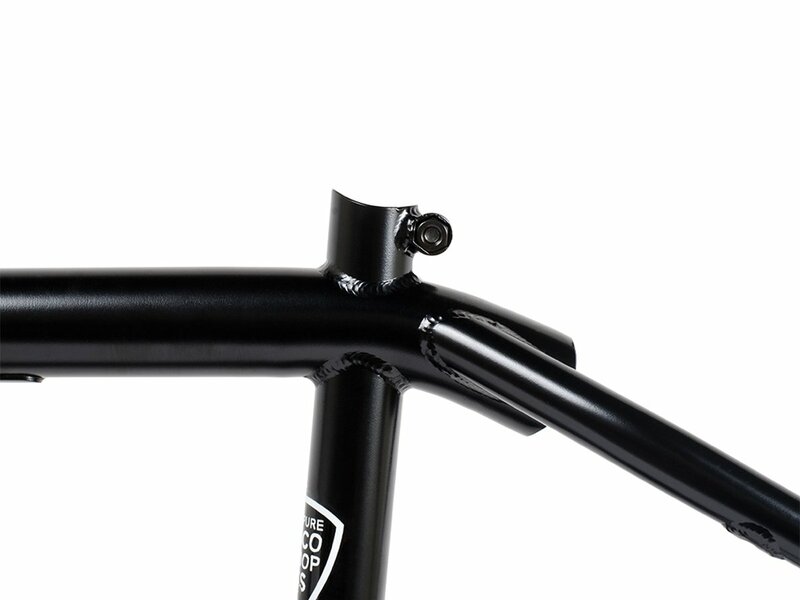 A special highlight is the so-called "Wishbone", which makes the frame stiffer and gives you a nice old-school look.